If there’s one thing that has held true over the years, it’s that the more I write, the more success I have. When people ask what I do, I rarely know what to tell them. They all fit, but the one that often feels the most accurate is writer. 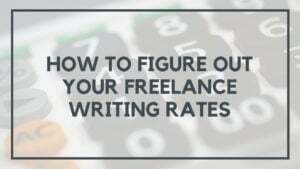 Whether it’s writing content for the Academy, emails for our newsletter subscribers, blog posts – whatever it is, if I don’t write, I don’t make money. Yet, lately, my writing has been stagnant. I’ve put it off, made excuses, or found other people to do it for me. One of the effects of that is feeling lost. Years ago, this crazy thing happened. Remember the guy from the old “Make 7 Up Yours” commercials? His name was Orlando Jones, and this one time I ended up randomly hanging out with him at a mansion in LA. But he told me one of the most valuable pieces of advice I’ve ever received. So in my case, my craft is writing. It doesn’t matter if I write blog posts, journal entries, screenplays, emails – whatever. Once you master the craft, it can take any form it wants. When I write I’m able to get my thoughts out. I’m able to work through problems. And perhaps most importantly, I’m able to take the feedback and responses I get and use them to steer the direction I’m going. When I neglect the craft, it can lead to a loss of direction. Lately, I’ve felt a little bit lost when it comes to this blog, and I think part of that is due to neglecting the craft of writing. So to get back on the right path, I’m doing something I’ve always been terrified of doing: I’m going to write everyday. 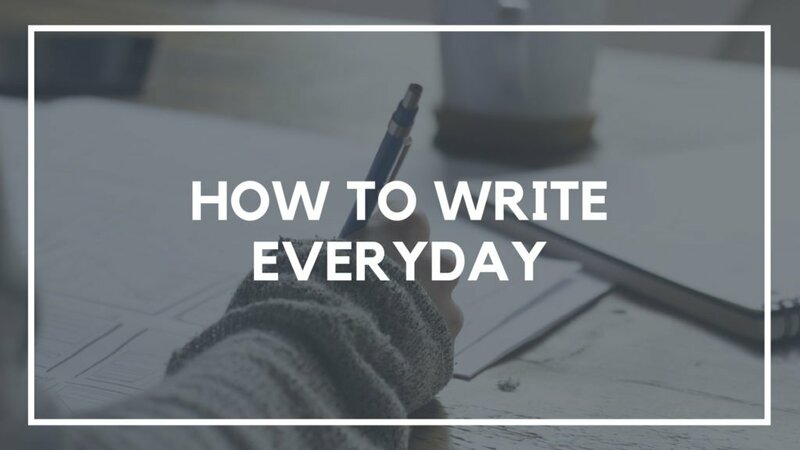 Rather, not just write everyday, but publish every day on this blog for the next month. The idea of a daily blog has always seemed daunting and terrifying, but right now it feels necessary. 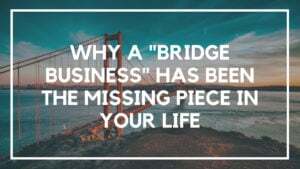 I need to reconnect with the craft that has afforded me so many wonderful opportunities over the last decade, and even better, by doing it publicly, it offers more chances to connect with the readers (you!) who make our community as special as it is. A couple of years ago, I did a daily vlog. In that, I had to shoot, edit, and publish an entire video, so this should be a piece of cake – right?! One thing you may or may not know about Location Rebel was the reason it began was as an accountability tool. Making a public declaration of your goals and intentions is one of the very best ways to follow through with them. So, at the suggestion of Chris Guillebeau, I started the blog and published my bucket list as a way to hold myself accountable for the things I wanted to accomplish in my life. Since doing that, I’ve done dozens of things I’d never have done without hitting publish. Cigars in Cuba, living on a tropical island, climbing a mountain, building a successful online business – the list goes on. But it was committing to the accountability that allowed me to follow through with it. So now I’m doing the same with this post. Every day in September we will feature a new post here. I recently wrote about the concept of my blog becoming a commodity, so I believe this is one way to add some of the personality back in and kickstart the next chapter of this website. The posts will be much more varied. 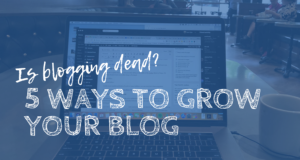 From simple ideas I’ve been marinating on, to longer form how to posts – we’ll be doing it all. And in the process, I’ll be working to write 1,000 words a day, as a personal goal for myself. I can’t wait to see where this goes. Interested in joining me for a 30 day challenge of your own? This is inspiring and I’m really looking forward to it! I personally have been struggling to write more consistently, and just the thought of writing and publishing every day made me nervous. Way to take the plunge! I feel newly inspired to write once a week now. Thanks for being real. Good luck, Jon! Figure out what time each day you want to write, and make it a habit. I’ve been writing first thing in the morning, and it’s working well. LOVED the daily VLOG! I always felt more connected with those. And as they progressed they just got better and better. Excited to see the daily posts. Hope you sprinkle in an occasional new vid as well. Definitely will! Hopefully sooner rather than later. I will make sure to read it everyday! I can really relate to the daunting part! I’m always scared to do something everyday, especially write. Can I keep it up? Will I have enough ideas? How can a write “well” EVERYDAY. But these are all details. Success is in the doing. Congrats Sean! Can’t wait to see more. Thanks Michael! I feel you there 🙂 Best way to find out, is just to start. Glad to have you back Sean. I recently launched a blog, and I’m stumped about what to publish. Do I just pick a topic, and just randomly write my experiences about and around said topic? Now this month, I’m just writing about whatever is on my mind. My guess is that the direction of the site will be even clearer after the experiment. Posting every day is definitely daunting. I did this last December but felt very discouraged afterwards. Your post today has encouraged me to try it again. Thank you Sean. I’m looking forward to reading your posts this next month. Blessings! Nice post, Sean! I struggle to write/edit daily as well, even though I need to, and I’ve tried and failed the daily blog challenge in the past. Look forward to seeing how it goes. I recently put myself up to a 7 day challenge, only the have the assigned goals take me 10 days. The great thing about being a writer as you describe it, is that I can take the lessons learned and put them on the page, even if I didn’t succeed in the manner I wanted to. I’m sure however it goes, it’ll be informative and entertaining! Totally agree, Peter! The lessons aren’t necessarily in the final success of the goals, but rather in the process. Finishing in 10 days is certainly better than not finishing at all! I’m kinda new here, but wanted to say: Yay!… I’m happy you’re planning to write more 😁. I’m looking forward to receiving your posts in my email. 🙏🏻 TY. I will read you again every day, Sean! I have an incredible challenge myself for the next 8 months and the stakes are higher than they’ve ever been in my life so far. I’ll share them in the area where we can. I love the 30-day challenge! This is fantastic!! I’ve been hoping you’d get back to these kinds of posts again, they’ve always been my favorite to read. And of course, you pushing yourself back into inspires me to do the same! Gonna go finish writing about another bad date tonight! Looking forward to following along. Cheers! “Every day” should be two words the way you are using it. I’m totally into watching this, even if I’m starting a bit behind! Normally I wouldn’t suggest what another writer should write about. But if you’re taking requests…? If you have further philosophical musings on “Craft vs Form” I’d love to hear them and the comments! ps don’t bother looking at my website yet. I took your advice on getting bought and hosted, but there’s nothing there… Yet! !